A know-how, a terroir : an ideal pair to offer seasonal quality products… some awarded by labels. 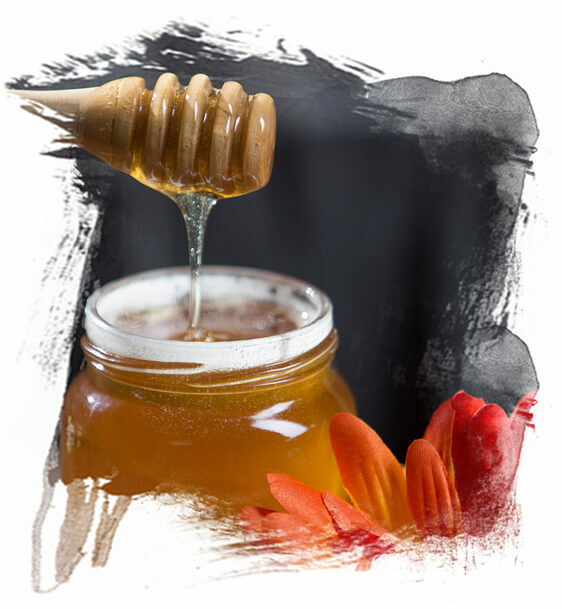 HoneyLes miels : honeys from Monts et Lacs en Haut Languedoc are not the same as others… it is a mountain honey that beneficiates from a special care. The “casse-museau” : The bakers of the Sidobre and the Mounts of Lacaune joined to make relive a jealously kept speciality: the “casse-museau”. Made with some ewe’s milk cheese for approximately 3/4 of its total composition, this rustic and precious cake is part of the local heritage. Indeed, its origin goes back up to the Middle Ages. It was formerly eaten after Vespers by the inhabitants of the mountain. The legend of this tasty speciality ” Long long ago, when the river was full with the winter rains and the snow melting, the inhabitants took refuge higher on the mountain which dominates Brassac. The demon of the river was called “tarasque”. Inhabitants offered “Casse-museau” to calm him down. Thus was born the “Casse-Museau”. La madeleine salvetoise : This pastry is elaborated for decades by our grandmothers and reminds to all a taste of childhood. Soft brioche, delicately perfumed with lemon, orange and orange blossom, can be eaten as a dessert accompanied with custard, for teatime or with a cup of coffee, or as a snack with a good hot chocolate. You will find it in bakeries in Salvetat on Agout. NATURAL SPRING WATER MONT ROUCOUS (LACAUNE) : the source of Mont Roucous is at 1000m of altitude, in the forest of the Natural Park of Haut Languedoc. Very lightly mineralised, it can be drink by everyone. Suitable for a low-sodium diet. SPARKLING NATURAL MINERAL WATER LA SALVETAT : The source is in the heart of the Natural Park of Haut Languedoc, in La Salvetat sur Agoût. Salt-free, it can be drunk all day long. Très pauvre en sel, elle peut être consommée par tous, tout au long de la journée. Also available : natural aromas of yellow lemon and lime. APPLE JUICE (VIANE) : From family orchards, these apple juice taste the flavors of childhood. Whaterver the year of harvest, they remain authentic, without treatment nor filtration. Natural flavors. To consume without moderation. APPLE JUICE (LA SALVETAT SUR AGOUT) : Home made apple juice without added sugar. Orchards with 60 apple trees and around 20 different varieties. MAS Frédéric – 05 63 37 06 12 ou 06 89 63 22 58. BREWERY LA MONTELIOTE (LAMONTELARIE) : in the heart of the Natural Park of Haut Languedoc at 1000m of altitude, beers « la Montéliote» are made according a traditional process that respects the environment. Natural and subtle flavours. sont produites selon un procédé artisanal et traditionnel qui se prête à la réalisation d’un produit naturel et respectueux de l’environnement. 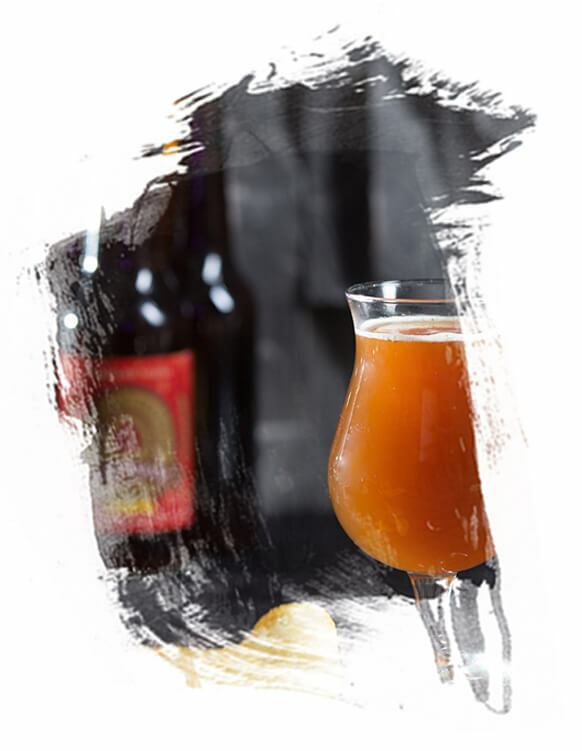 Des bières de caractère aux saveurs naturelles, subtiles et variées, sans colorants ni conservateurs et sans pasteurisation.